When you are on vacation, especially during this Holiday Season, cooking a big feast may be the last thing that you want to do. I mean, really, who wants to trade a couple of hours at the beach or on the water for a couple of hours in the grocery store? Yea…me either. So if you are like me when you are traveling, following are a few ideas for dining in or out to help you while you are visiting our beautiful island (s). Publix – Publix offers many different options for your gatherings including full ham and turkey meals complete with all of the trimmings and various platter options such as cheese, meat, subs, wraps and shrimp. 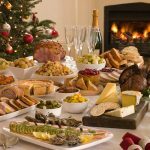 Key Colony Inn – The Inn is serving its’ annual Christmas Day Buffet from 1:00-7:30 pm. Reservations are recommended so please call them at 305-743-0100. Sunset Grill & Raw Bar – Sunset has many activities going on throughout the Holiday Weekend. They will be hosting Santa December 23, a Christmas BBQ Beach & Pool Party December 24 and a Christmas Day Buffet December 25. 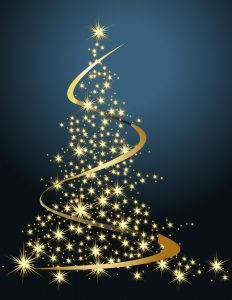 Call 305-396-7235 for reservations for the Christmas Day Buffet. Florida Keys Steak & Lobster House – The Steak & Lobster House will be open normal business hours on Christmas Day from 11:30 am – 10:00 pm. They do recommend reservations though so please call 305-743-5516. Again, these are just a few ideas for you for your family celebration. There may be many more out there! The best place to go to find that and basically anything else you might need while visiting is the Marathon Chamber of Commerce. From all of us here at Key Colony Beach Realty, we would like to wish you a Merry Christmas and a safe and Happy New Year!